Obviously the art’s been repurposed from elsewhere, but I think they did a nice job of matching the mood of the story, and even the details aren’t as off as might first appear. 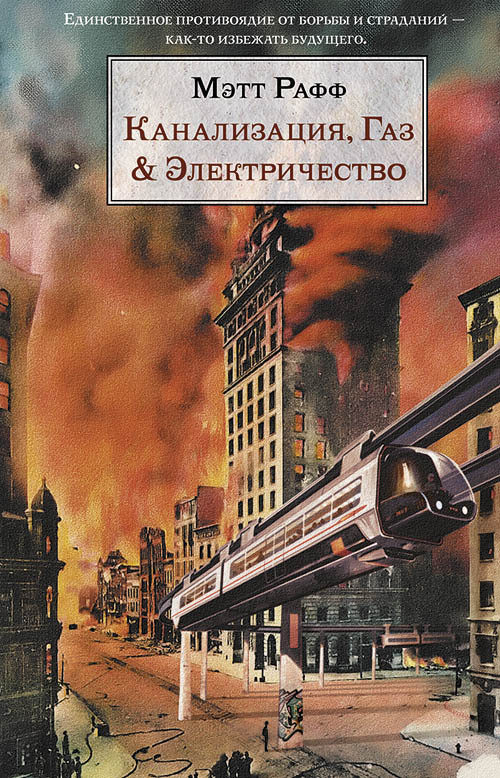 You could definitely find buildings like that in lower Manhattan (complete with flames), and while there’s no specific mention of graffitied monorails in Sewer, the concept of monorails fits the general Retro Future aesthetic of the novel. Also, there’s just something very cool about seeing my name in Cyrillic.